Landlords are also required to provide an Energy Peformance Certificate (EPC) to tenants. This handy checklist will help you be clear about what you need to do to meet the law – and keep your tenants safe. Provide a smoke alarm on each floor of the property. Provide a carbon monoxide alarm in any room containing an appliance that burns solid fuel such as a coal fire or wood burning stove. Check that escape routes are always accessible. Ensure that any furniture and furnishings, including curtains and carpets, supplied with the property are ‘fire safe’. One way of doing this is checking for a label which states that the item complies with fire safety regulations. Provide fire alarms and extinguishers if the property is a house in multiple occupation (HMO) with at least three storeys and containing at least five tenants. If you have building works done at property you rent out, the building control process will check that any relevant fire safety regulations involved in the project are met. By law, landlords must ensure that the electrical system – such as sockets and light fittings – in the property they let is safe. They must also check that all electrical items supplied as part of the tenancy – such as cookers and lamps – are safe. 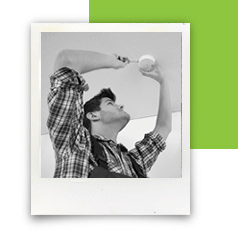 Conduct a visual inspection of the electrical system between tenancies. Have portable appliance tests done on all movable electrical items supplied with the property every year. Make sure the property has an adequate residual current device or RCD, probably at the fuse box. This protect tenants from potentially fatal electric shocks by switching off the current automatically if someone accidentally touches a live part of the circuit. Have a professional inspection done every five years (this is a legal requirement if the property you let out is an HMO). The results of the inspection will be set out in an Electrical Installation Condition Report or EICR which will identify whether the electrical system is safe or not. Only use registered electricians for any electrical work done at the property. Get every gas appliance and flue checked annually by a Gas Safe registered engineer. This includes gas boilers and gas cookers and hobs. Obtain a copy of the gas safety check record and give this to existing tenants within 28 days of the check being carried out. This should also be given to new tenants when they move in. Ensure that you only use Gas Safe registered engineers if you have any new gas equipment installed. The Energy Efficiency (Private Rented Property) (England and Wales) Regulations 2015 establish a minimum level of energy efficiency for privately rented property in England and Wales. To prove that a a let property meets this, when issuing a new tenancy agreement, landlords must provide an Energy Performance Certificate (EPC) to tenants that shows it mhas a rating of at least E (A is the highest). HomeProtect landlord buildings insurance is designed to give landlords protection for residential properties against losses from risks like fire, storm, and flood. Landlords should note that our policies do not cover damaged caused by gradual wear and tear, or failure to fix a known issue. This is yet another reason why the recommendations in the checklist are worth following, even when they’re not required by law.